Stop comparing yourself to others and learn to appreciate your own skills. Welcome back to my Keeping Dreams Alive series. Today. 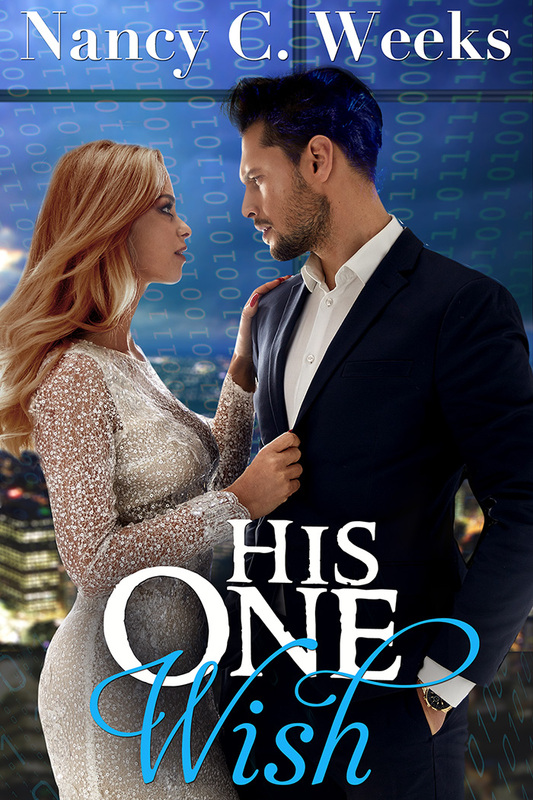 I honored to introduce you to one of my fellow authors from Crimson Romance, M.J. Schiller. I met M.J. in a group called CRSisters. The CRSisters is a wonderful group of Crimson Romance authors who joined together to offer support and encouragement to fellow authors through the confusing maze of publishing and promotion of a book. To a newbie 'soon to be' published author like myself, M.J. and the CRSisters are a godsend. 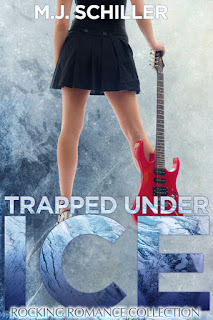 M.J. published her first book, TAKEN BY STORM, last year and she just released her second book, TRAPPED UNDER ICE. Honestly, I can’t imagine when she finds time to write---an eighteen-year-old and sixteen-year-triplets. I have only two kids and they were space far enough apart I only had one in high school at the same time. M.J., in case no one has said this before, you are a super mom/super woman. I can’t thank you enough for taking the time to your dream with us. Would you please tell us a little about yourself? My very much alive husband and I have an eighteen year old (I was merely a baby when she was born. Really!) and sixteen-year-old triplets. Four teenage drivers means I don’t get much sleep. This is going to sound odd, but I was watching an awards show one night, the Emmy’s, I guess. They were giving an award to Aaron Spelling and Jaclyn Smith quoted him as saying something ultra profound like, “Reach for your dreams.” For whatever reason, it struck me that night. Aaron Spelling had once been an acned junior high student like the rest of us and became a household name because he set out to achieve something and to use his God-given talents. That night I decided that it was time to write that book I was always going to write. I’m not sure this is a dream killer or not but, when I was growing up, you weren’t encouraged to become a writer. It wasn’t a job in the sense that you worked certain hours and brought home a certain pay check, so it wasn’t exactly on the list with doctors and mad scientists. I’ve always loved words and I wish I had started writing earlier in my life. Another dream killer, I guess, was feeling intimidated by all those fancy-smancy New York publishers. Overcoming that meant, for me, turning forty and realizing that those editors were probably younger than me, less seasoned and therefore less scary. I thought, what do they know that I don’t know? Probably a whole lot, but there were a few grains of wisdom that I had that they probably didn’t, so I gave it a try. I guess the biggest adversity you face as a writer is that little niggling voice that tells you that you’re not good enough. You have to stop comparing yourself to others and learn to appreciate your own skills and, if you really aren’t good enough yet, work at it. Then it has to become a priority. Well I’m not sure that I’m there. If you meant how did it feel the day my book became published, it was incredible. I still can’t believe sometimes that I wrote a book and it was published and it is real and up on my mantle right now. It fueled me. I’ve been sensitive to criticism all my life, (just ask my parents) so you’d think this would not be the field for me since you open yourself up to criticism every day. But the desire in me to do this was so strong that it outweighed my fears. I had to just do it and deal with whatever was to come. Every writer, even the most famous, has critics. I remind myself that not everybody likes peanut butter either, and look how good that is! My goal is to quit my day job. I love my job as a lunch lady, but it would be awesome to have the time to really do this writing thing right. I’d like to read more romance, and learn from it, read more of the articles I store away for when I have time, market more, do more to promote other authors…the list goes on and on. Rock star Chad Evans’s tortured past hides just beneath the surface. Even fans screaming out his name in ecstasy can’t drown out the screams of his childhood. He can usually keep it under control, but not always. Tonight the alcohol doesn’t seem to soothe. Part of the crowd, Beth Donovan smiles, really enjoying herself for a change. But her smile isn’t usually this bright. It is the kind of smile that masks sorrow. Three years just isn’t long enough to get over losing Paul. When a vicious attack behind stage brings this unlikely pair together, something changes inside of them both. 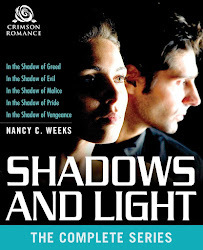 But can a jet-setting superstar and a Midwestern lunch lady ever manage a real relationship? And even if they can, will the person sending Chad death threats take it all away? Or is it their fate to remain forever trapped under ice? The boat was underway and they watched in silence as it passed through the glimmering reflection of The Arch in the water. Beth rested on the rail, and Chad stood behind her with his hands grasping the bar on either side of her. The wind blew their hair softly, and she shivered, regretting her decision to leave her coat in the car. “Are you cold?” he asked, taking his hands from the rail to rub her arms. His touch felt so good, she found herself leaning back against him and closing her eyes. How long had it been since she felt a man’s touch? She turned to peek up at him. She had to know if he felt the same way she did. Chad took his hands from her arms and placed his fingers behind her neck. She froze, unsure of what he was doing. He gently rubbed his thumbs across her mouth, his eyes taking in the curve of her lips as he touched them. Then, his eyes lifted to hers, and she saw in them anguish and need and pain and…something more. He bent closer, inch by inch, tantalizing her as she craned her neck, rising up on her toes to reach him. His lips finally claimed hers with a rush. His lips felt, oooh, so good, and she realized for the first time how wonderfully full they were. With a moan that filled them both, he kissed her more deeply, his tongue exploring her mouth, his hands sliding down to pull her closer. When he finally pulled away, she almost cried out in protest. Where she was hearing Paul’s voice earlier, Chad now heard a harsher voice, his father’s. You’re not good enough for this girl, Chad. She’s outta your league. Find yourself one of your usual floozies. You need a little one-night action. You’re incapable of true love. You’ll wind up hurting her in the end. This was the thought that truly terrified him, but it was as if he couldn’t help being drawn to her. There was something there he couldn’t define. 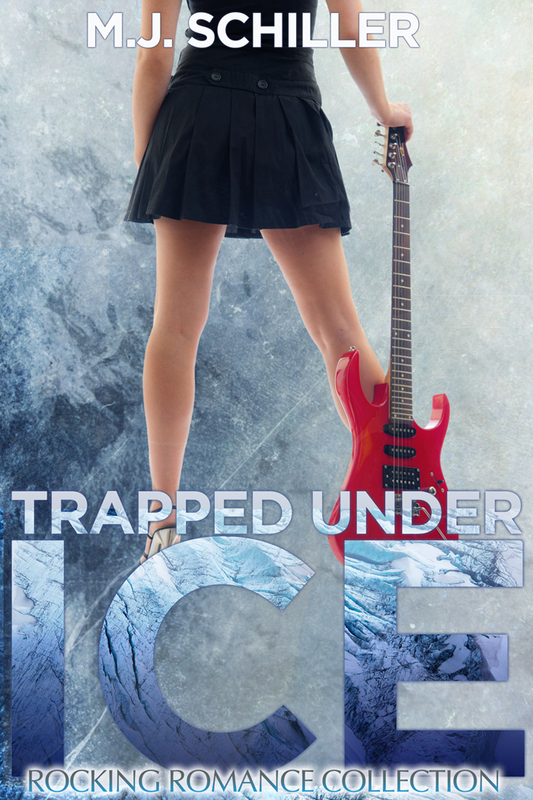 TRAPPED UNDER ICE available at Amazon, BN.com, Smashwords, Kobo, the I-bookstore, Diesel, and other ebook retailers. MJ what a lovely story and a great interview. You touched on many common threads for me. Insecurity, fear, the opinions of others, all of those and more can kill our dreams. I listened to those other voices and waited too long, but I'm not waiting now. I'm living my dream. I hope you inspire others to reach for their personal stars. Thanks, Rue! I guess it's true about that hindsight, huh? Or as the neighbor says in "It's a Wonderful Life," "youth is wasted on the young!" If only we knew then what we know now. I do believe, though, that this was my time to pursue this. It worked out like that so I believe it was fate. I appreciate you stopping in to chat with us! What a super post. Dream on, MJ! And Nancy, I love your blog. Nice to way to inspire and support dreams. Agreed, Lynn! When I heard Nancy was writing these posts, I knew I wanted to be a part of it. She also made everything look so lovely here! Thanks for having me, Nancy! It was my honor to have you on this series. Thanks again for doing it.